Photo from Blog Maconnique website. 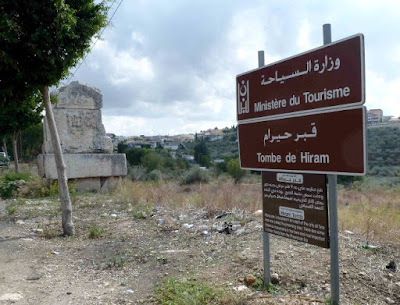 I received a note from a Freemason in France last week, alerting me that the supposed historic burial tomb of Hiram, King of Tyre, located in modern day Lebanon, is sorely in need of repair. Until his message, I had no idea that the tomb even existed, so it came as quite a surprise. The Brother says that there has been some preliminary talk of trying to raise money to hire qualified stonemasons to restore the site. Hiram King of Tyre, Tomb from about 950 BC. Positioned alongside a Road near Hanaway just a few minutes SE of Tyre. The Tomb of King Hiram is located a couple minutes drive Southeast of Tyre in the village of Hanaway. 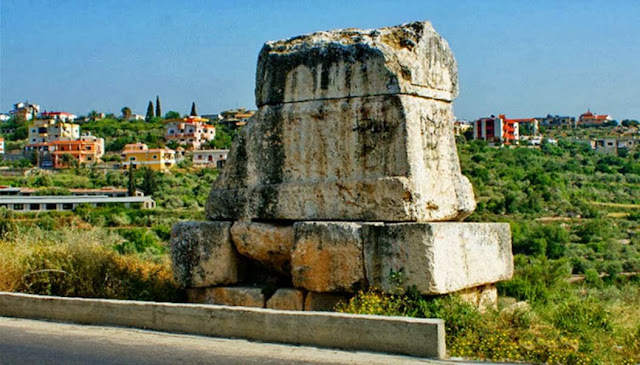 It is a colossal limestone sarcophagus built upon a high pedestal, just north of the border with Israel. This Tomb can be found and seen on Google Maps with a brown tourist pointer sign on the road nearby. The following is a brief researched report of King Hiram. King Hiram of Tyre is a significant character in Craft Masonry. He is introduced into Masonry as a friend and ally of King Solomon who assists the latter in building the famous House of God in Jerusalem. What isn’t as widely known is that he was also an ally of King David, Solomon’s father, and assisted him in the building of his palace in Jerusalem. Tyre is an ancient Phoenician seaport and is located in what is now known as Lebanon and is currently known as Sur. It was from Lebanon the famous cedar found in both David’s palace and King Solomon’s temple came from. Aside from supplies, King Hiram was known for supplying artisans, woodsmen, carpenters, stone masons, and other such workers to assist in the building of various famous edifices as Tyre was a well-known center for architects and artificers. 1)King Hiram cannot be Hiram Abiff. 2)Hiram Abiff the architect of Solomon's Temple was murdered. His killers fled across the Red Sea. Masonic lore. 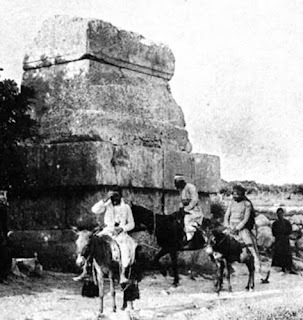 Nobody said King Hiram of Tyre was Hiram Abiff, or that Hiram Abiff existed outside of Masonic legend. What's your point? And no, Solomon's Temple was on the Temple Mount, not in Arabia, and archeological findings from the First Temple Period confirm it. You've been reading propaganda from the Waqf.